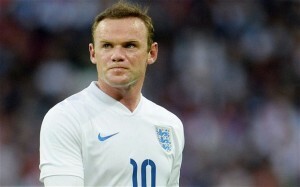 Ashley Wilkinson discusses the reasons why Wayne Rooney is not a suitable candidate for the England captaincy. Why Ashley Wilkinson will never get over the cruelty of the season just gone. Ashley Wilkinson believes that Liverpool are well equipped to challenge for the title next season. Ashley Wilkinson discusses Ashley Young and his the reputation he has built for himself in recent seasons. Ashley Wilkinson discusses the departure of Nigel Clough from Derby County. Ashley Wilkinson looks at the youngster who could become ‘England’s Spaniard’. Ashley Wilkinson discusses the Chelsea skipper in light of his decision to retire from international football. Ashley Wilkinson offers his thoughts on the increasing influence of players. Ashley Wilkinson offers his thoughts on the omission of Rio Ferdinand from England’s Euro 2012 squad. Ashley Wilkinson discusses the Brendan Rodgers style of play, and wonders what it will take to be employed successfully at Liverpool.